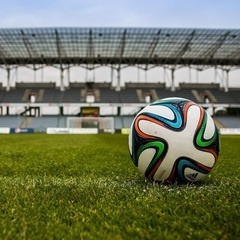 Lausanne - Morocco and the three-nation ticket of the United States, Mexico, and Canada formally confirmed their bids to host the 2026 Soccer World Cup on Thursday's deadline. That World Cup will be the first to include 48 teams, rather than the 32 who will compete in Russia next year and in Qatar in 2022. The next stage will be the submission of complete candidacy dossiers by the candidates on March 16. The host will be chosen on June 13 next year, but the way the choice is made marks a change by FIFA, the governing body of world football. The decision used to be made by FIFA's executive committee, but following the suspicions that hovered over its selection of Russia and Qatar in December 2010, and the subsequent scandal that dethroned president Sepp Blatter, the committee was stripped of some power and renamed the FIFA Council. The new-look council must rubber-stamp the bids, but the final decision will be taken in a vote of the 211 national federations at a congress in Moscow.